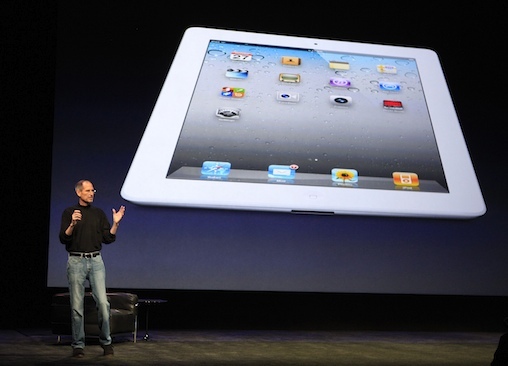 The iPad 2 officially goes on sale tomorrow, Friday March 11th across the United States from 5PM local time. For those looking to get pick one up on launch day, Apple’s iPad 2 will be available from Apple Stores, Best Buy, Target, Walmart, Verizon Wireless and AT&T. It’s unclear at this stage whether the iPad 2 will be able to supersede the success of the original iPad, which sold 300,000 units on day one, half a million in the first week and a million by the end of the first month. If you’re not in the US you’ll fortunately only have to wait a couple of weeks, with Australia, Austria, Belgium, Canada, Czech Republic, Denmark, Finland, France, Germany, Greece, Hungary, Iceland, Ireland, Italy, Japan, Luxembourg, Mexico, Netherlands, New Zealand, Norway, Poland, Portugal, Spain, Sweden, Switzerland and the UK all receiving the iPad 2 on March 25th.